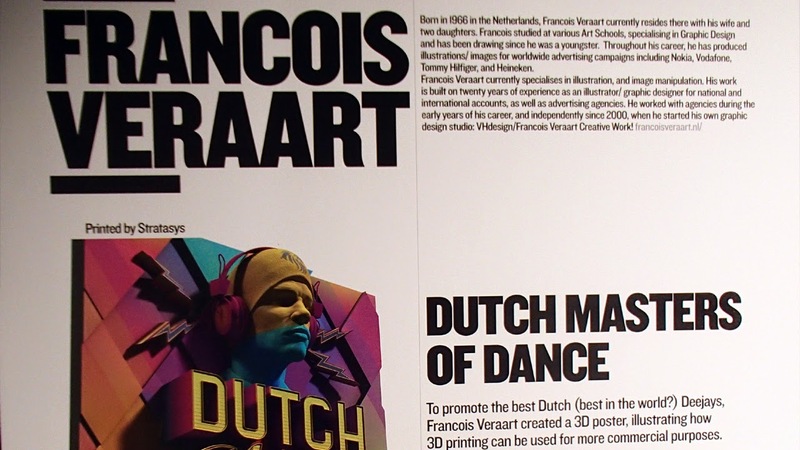 Next week the TCT Show is opening for a full three days of 3D printing, design and product development. Both consumer and Industrial sectors are fully represented. If you would like to talk to me about 3D printing or anything else, let me know in the comment or send me an e-mail or message @RichRap3D - I would be really pleased to meet up with more of you. 3DHubs are also having a meetup at the show, so look out for that one. Should be fun. I'll try to give as much feedback as possible from the show floor, usually on Twitter first @RichRap3D and G+ / this blog as soon as I can. 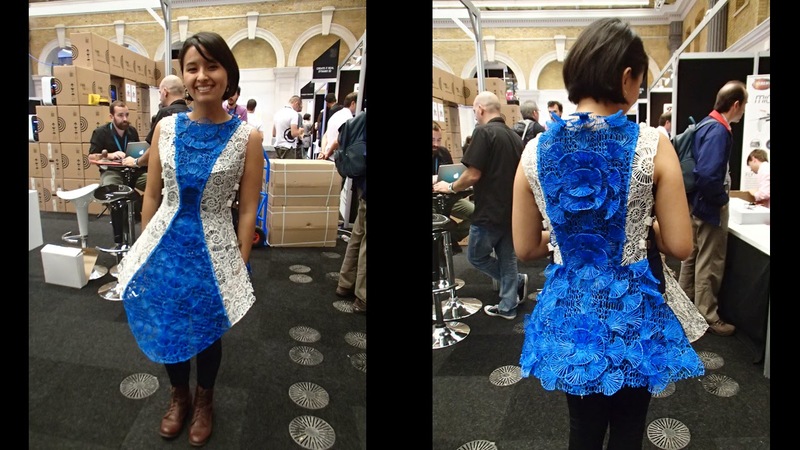 The 3D Printshow in London had a rather fantastic mix of everything this year. I spent three days up at the show, met lots of great people and took far too many photo's. Kerry and the team running the 3D Printshow have such an immense job, it's almost impossible for anyone who just visits to see what goes into a show like this. Ultimate respect for the team, and next year with an even more ambitious schedule all around the world, it's going to be even more work. They are recruiting if anyone wants to take on the challenge ! 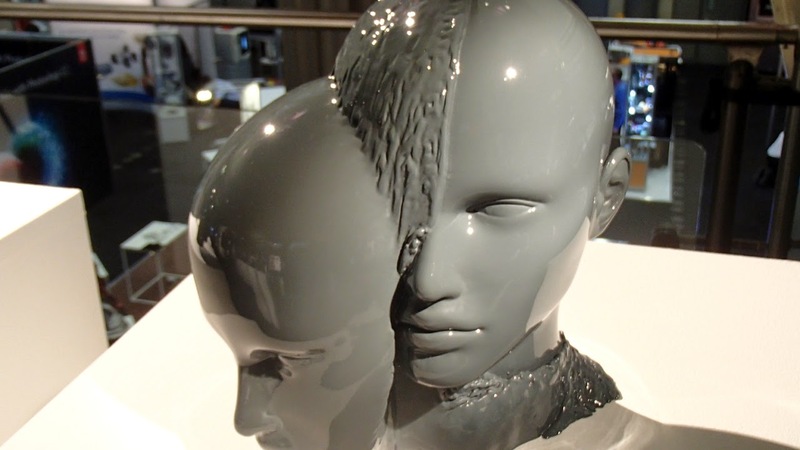 I made a short but fast video & slideshow to show some of the great parts of the London 3D Printshow 2014 - I hope it gives you a taste of the way both the consumer and professional 3D Printing industry is progressing. 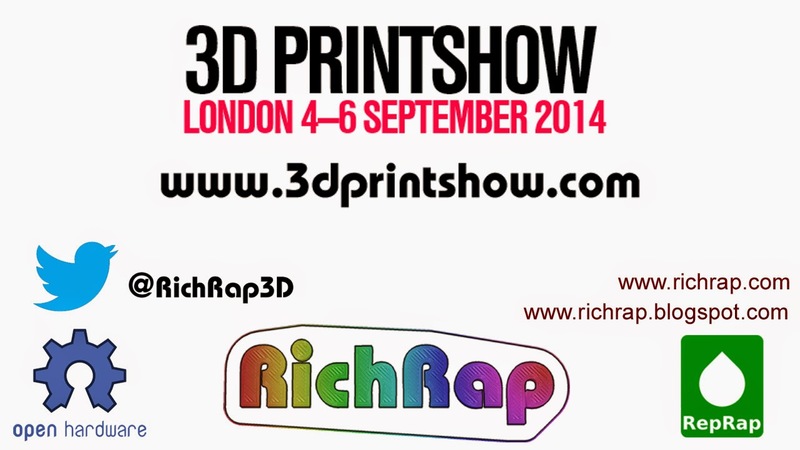 The 3D Printshow team is off to Paris again, very soon. 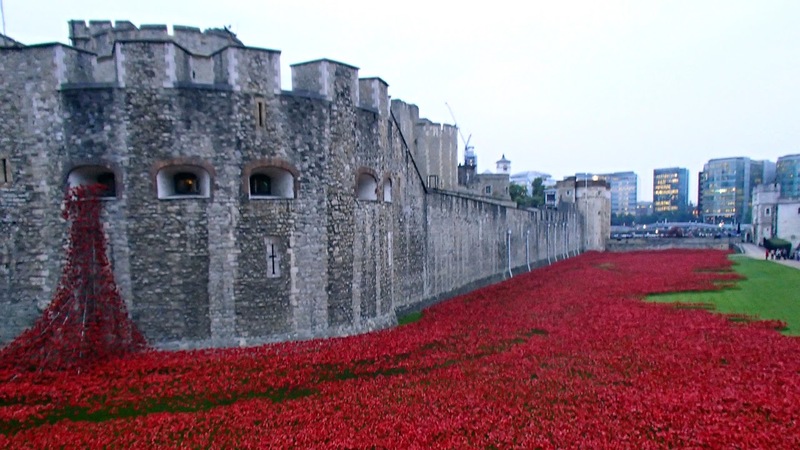 I would also strongly recommend viewing it directly on YouTube as it's in HD - direct link here. 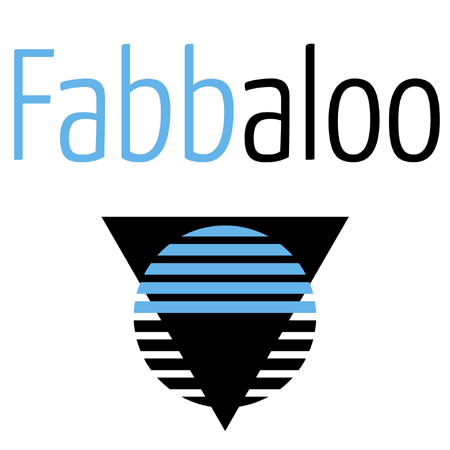 Along with the 3D Printshow team, I need to say such a big thank you to the team at Fabbaloo, who made my time at the show so much fun. We were all on the Knowledge bar stand with a mission to help anyone that asked us anything at all about 3D Printing (or anything else for that matter) - we had some really great questions and discussions this year. 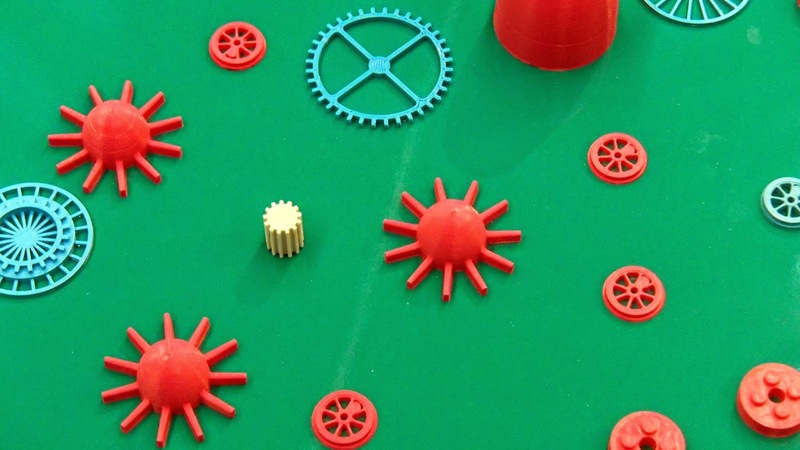 One thing that's really clear this year was that people from all walks of life have figured out that 3D Printing can and will help them in one form or another. The media hype is dying down and I only had two conversations about 3D Printed guns this time! Many questions last year started with, how does it work? what can it do? or what can it make? This year most of them started along the lines of I work in X industry and we want to use 3D Printing to help us do X, what do I need to know? - that's always a good sign that things are moving along. 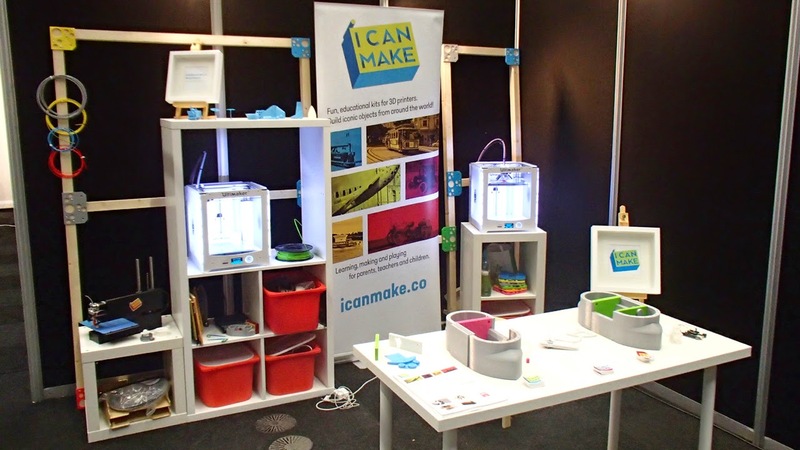 Another really great signal is that lots of people wanted to know how to get involved in the '3D Printing industry', many of these were school age or about to go into further education. It's obviously not all that clear what skills you need for a career in 3D Printing. And to to be honest, as things evolve and 3D Printing takes on more avenues in various industries. Maybe it'll start to look more like an enabling tool rather than a specific industry anyway. So many good things happened at the show, lots of great people and companies with missions and goals, shaping this industry into something really very special. When I got home and the dust had settled, one company really stayed in my mind. They are using 3D Printing and other technology for further education and learning, with our next generation of creative minds - the kids. But not only that. It involves parents and a wider net of influencers to show with creative technology, education can be fun and rewarding, on so many levels. That company is I can make - I would encourage anyone to take a look at what they are doing and get involved or spread the word. 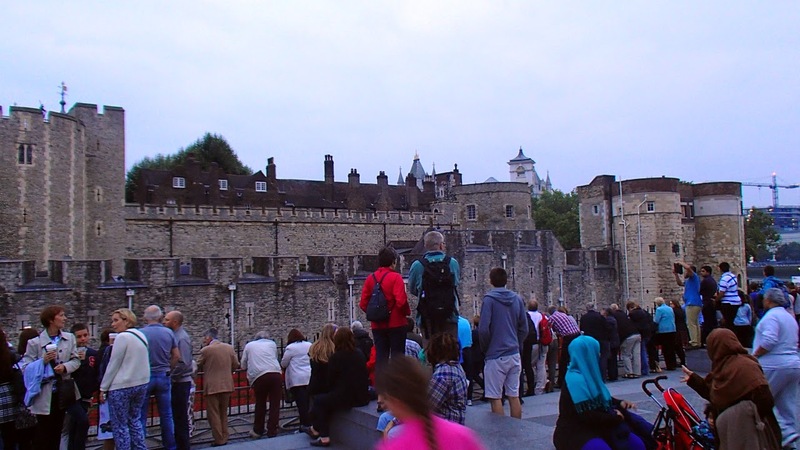 Accurate sections of London Bridge - show mechanisms and construction to assist with learning and exploring the real world. It's going to be really interesting to see where I can make takes this. If the education system responds well and also parents get involved I can see a very bright future. Very best wishes from me, and I'll do whatever I can to help. Not all that much new technology was in force at the show this year, it was very hard to find even a single delta printer at the whole show. Yes, some new low-cost SLS machines were around. But what was happening was a clear joining of forces between companies who have been around for a little while and are starting to figure out what it's going to take to succeed in this consumer landscape. Fuel3D and Ultimaker announced a cooperation to bundle the Fuel3D scanner with the Ultimaker 2. 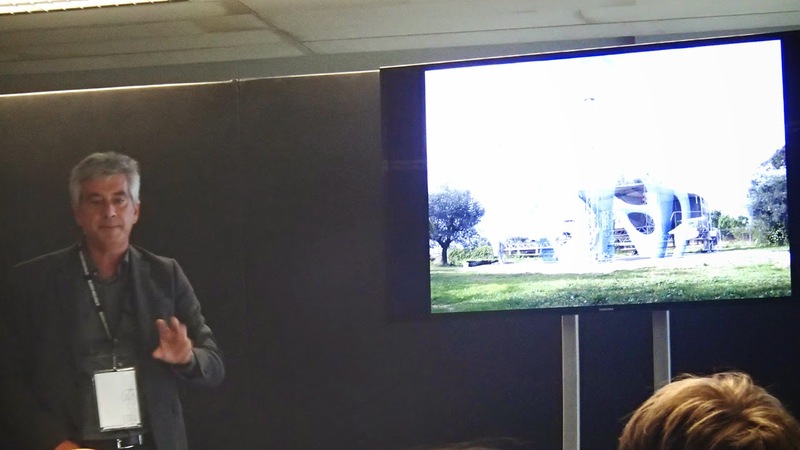 3D Hubs are working with a lot of people and are experts in sharing and cooperation for mutual benefit. Lots of other things are also going or are about to happen, but I can't tell you about them at this time, sorry. It's certainly an exciting time for the industry and we have even more thrilling times ahead. 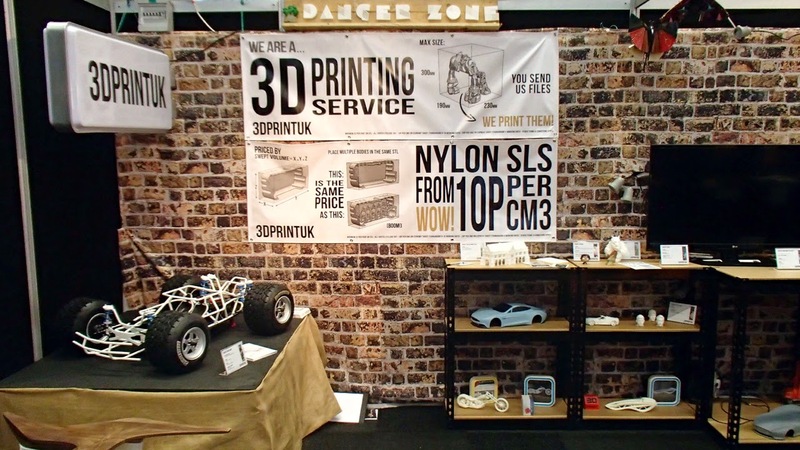 We have always had 3D Printing services, and this year was no exception, what was more 'on-show' was a strong focus to provide more as a service. 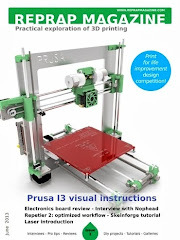 Se we still have actual 3D printing by the likes of Shapeways and i.Materialise, But many more now are offering design services, verification and a whole host of 'cloud 3D printing' - many who didn't even seem able to explain what it was they were offering. "it's cloud based" was all I got from one. I didn't ask any more. One great UK company (with real people who care and are not up in a cloud) who has always gone that extra mile for the client is 3D Print UK if you are not already aware of them, do take a look. 3D Hubs was swarming with people for the entire show, I only managed to get to talkto them on the last day. They featured local hubs who got a chance to talk directly with the very people who they work remotely for through the Hubs network. 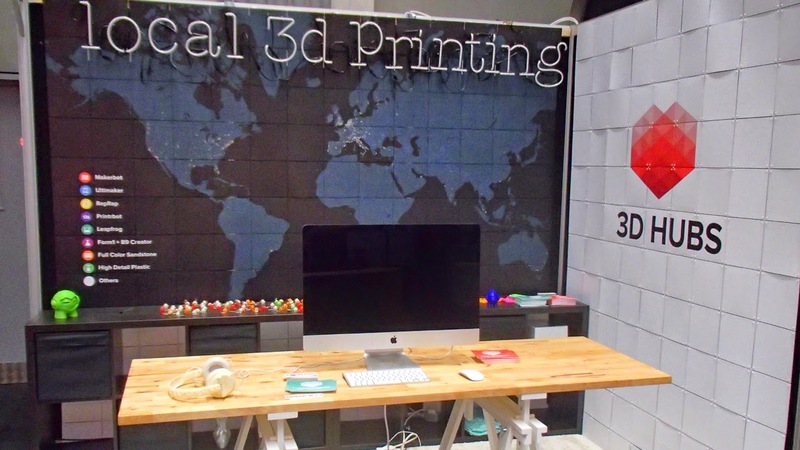 They also announced a $4.5M funding deal to make 3D Hubs the only real choice for networked printing on the planet. Many others are now trying to get into this area. I must have had five or six different start-ups talk to me about a 3D Hubs like network of users, One even claimed to have the world's biggest network. Then re-stated we hope to have the biggest, one day. Getting people on your 'platform' is going to be a hot focus over the next year. Was in full force at the show. This year the organisers had hundreds of budding hopefuls apply, and they had to turn down most of them for not making the grade. 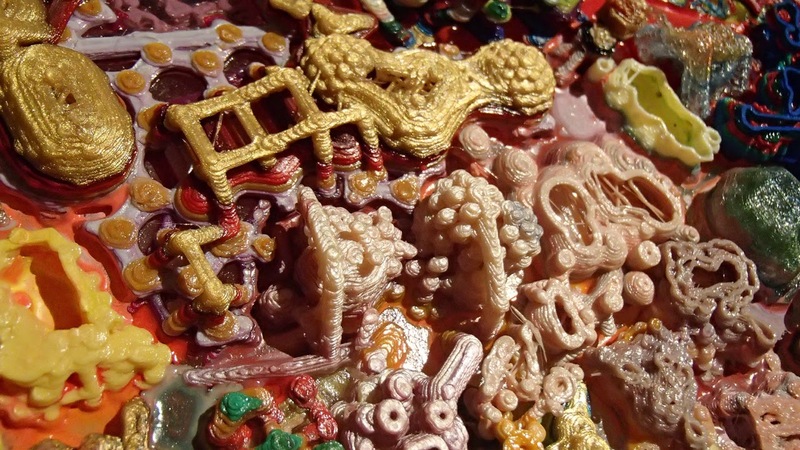 It seems Artistic use of 3D Printing is now a solid form in it's own right. Fashion is still trying to work within the limits and it's doing a very good job indeed. There was far too many fantastic works to put down here (watch the video above) - but here are a few that I was drawn too. 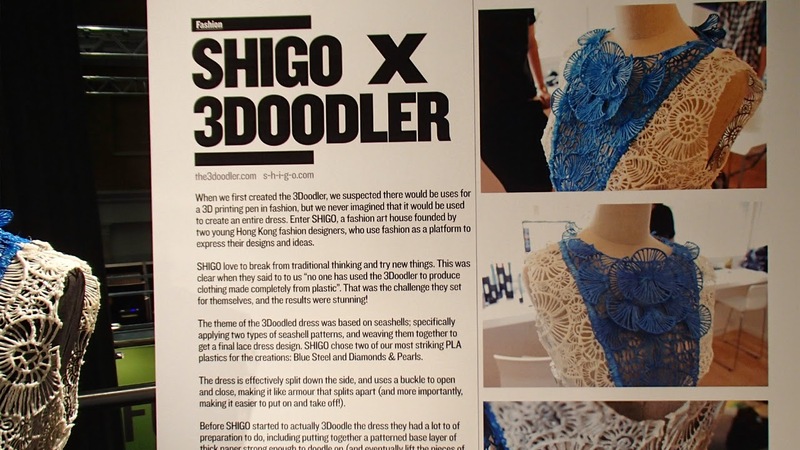 One of my favourites at the show was the 3Doodler dress by SHIGO - Yes, I know it's not '3D Printed' get over it, it's awesome ! 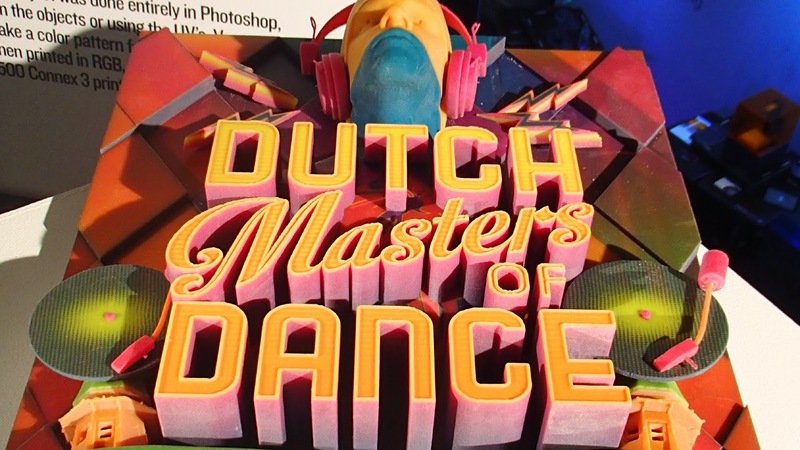 Francois Veraart had a stunning piece on show - Dutch masters of dance, it's great fun and wonderful to look at. 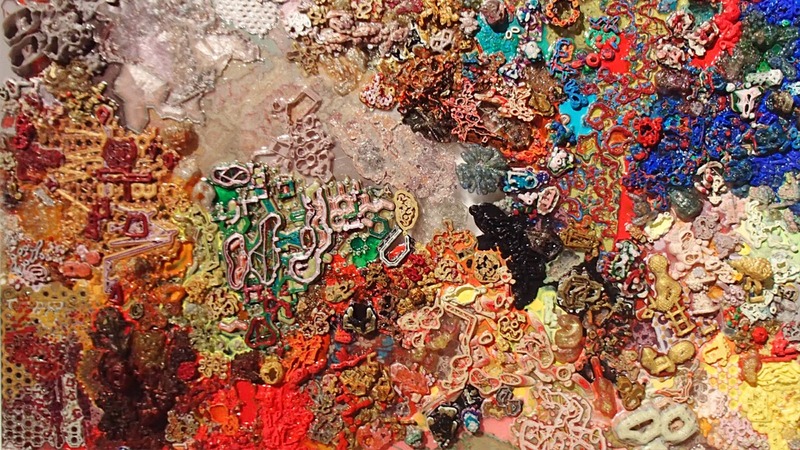 Another one that struck a chord with me was the stunning work by Shane Hope - these pieces have so many features and detail, it's unlike anything you have seen before. It brings a whole new dimension to artwork and although I myself have done some simple 'melted Art works' before this was something else, something spectacular. It was a real pleasure to meet Shane and talk about his ideas for future work, I'm sure you will see a lot more of Shane's work to come. Photo's and even video do not do it justice, it's just the sort of thing you need to see in person, study, explore and feel the creation of each piece. 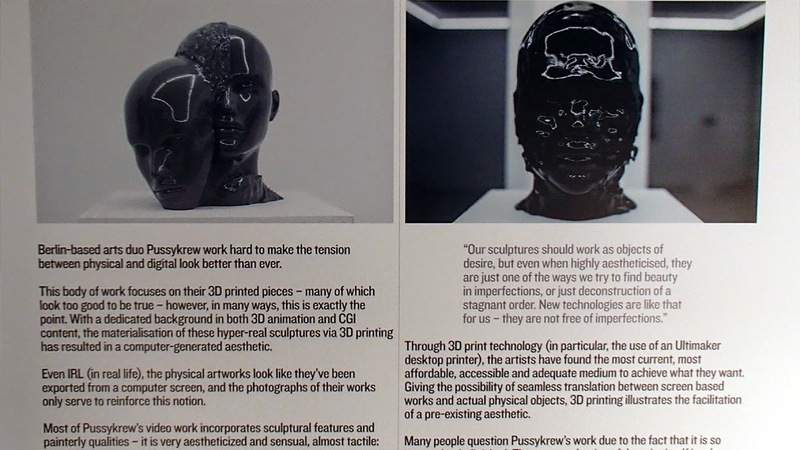 PussyKrew was another example of stunning computer imagery brought to life with 3D printing and lots of hard work - these prints used Ultimaker printers and hand finishing to great effect. I just realised I want to add about another 30 more, but that's going to make this post massive, so watch the video for more amazing works. 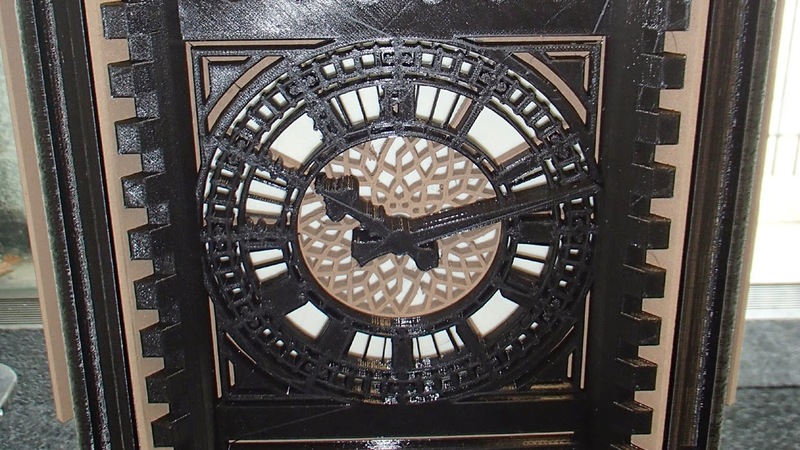 One I can't leave out is the fantastic model of Big Ben by Mark Durbin (AKA MakeALot), Printed on Ultimaker and Delta Tower printers with Colorfabb materials. More of the scale and design in the video above. Another personal achievement was listening and meeting Enrico Dini of D-shape (the man who prints houses) he is an inspiration for me and it was a joy to see his work and hear his story fist hand. 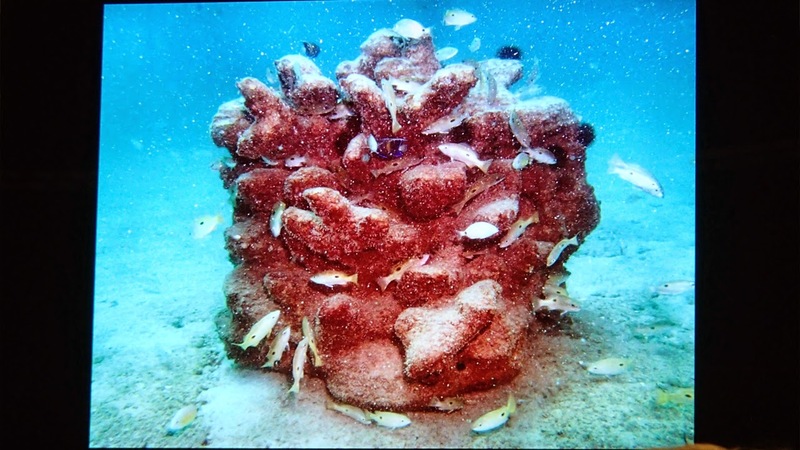 Other than houses, one of the things D-shape prints are these fantastic Artificial reef modules in real stone (dolomite), once in place fish and marine life take to them. 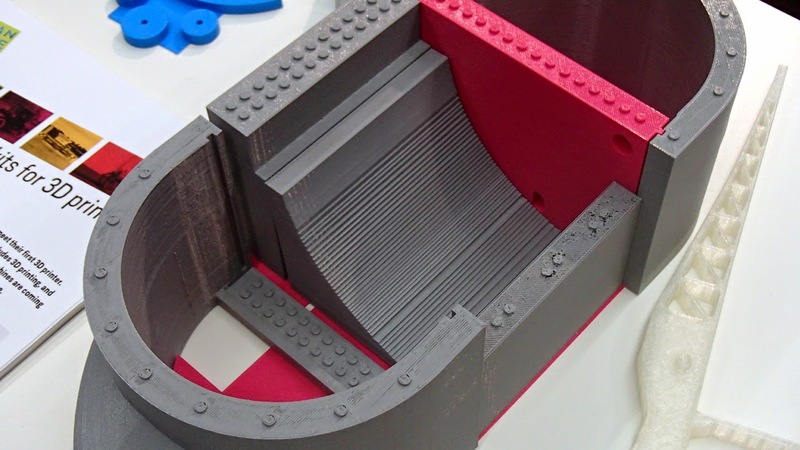 3D Printing is the only real way to make such complex structures like this. And last but not least - What was the general Hype level? 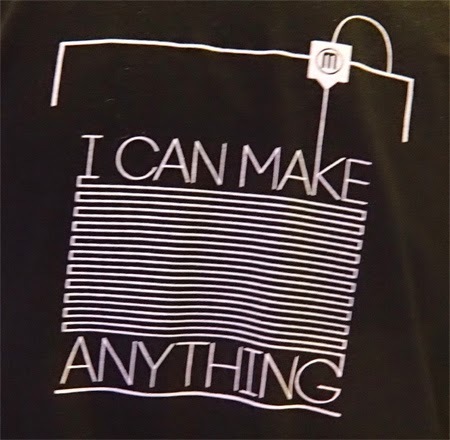 The only thing that really grated on me was that all Makerbot staff had t-shirts on with the following "I CAN MAKE ANYTHING" - Any of you who were at my presentation on the Saturday of the show, would have heard my response. Hype and misleading marketing is generally not a good thing in my view. We have all worked hard to get across a realistic view of what current 3D Printing can do for people, and that's a lot already. 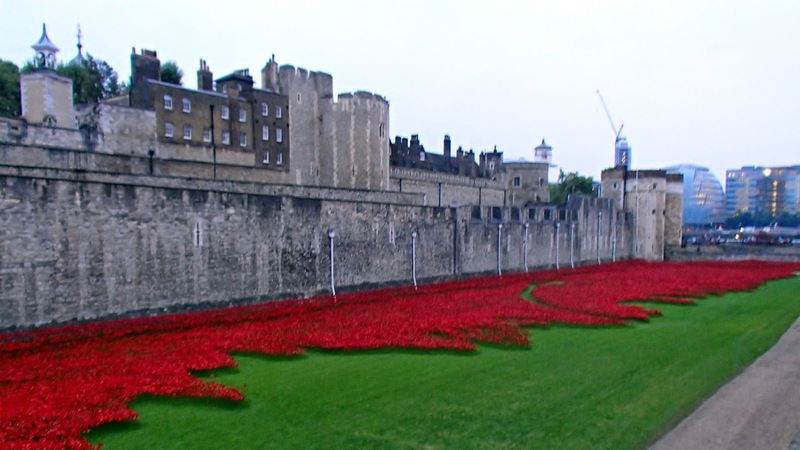 Here we have some stunning images of the 888,246 poppies around the Tower of London moat to commemorate and represent all the British Military Personnel who died in the first World War, which broke out 100 years ago. 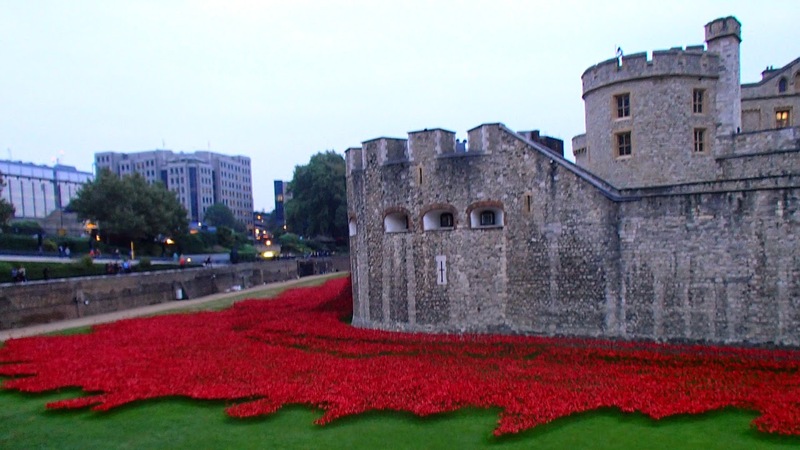 The last poppy will be planted on 11th November. 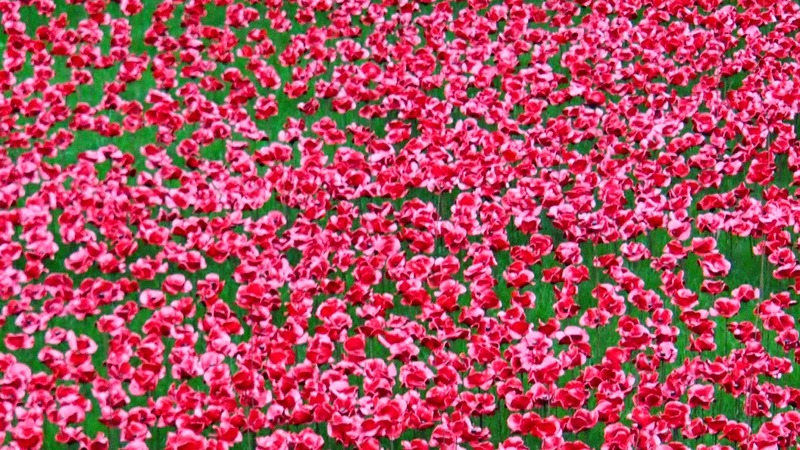 Every single poppy is made in ceramic and is hand planted in the grounds, it's breathtaking.